A major shooting schedule of ‘24’ is currently underway in Mumbai and director Vikram Kumar is canning important scenes featuring Suriya and Samantha along with the rest of the cast. Meanwhile, director Hari has kick started the pre-production work for ‘Singam 3’ which will bring back Suriya as the feared cop Duraisingam. ‘Singam’, the movie directed by Hari which was released in the year 2010 was a huge blockbuster, and it gave Suriya that extra mass appeal which is quite necessary to emerge as a Superstar in the Tamil Film Industry. Later, the same team joined hands together in 2013 through the sequel of the movie which was named ‘Singam II’. This movie too succeeded in satisfying the masses, and this has compelled them to make a third sequel in the franchisee. 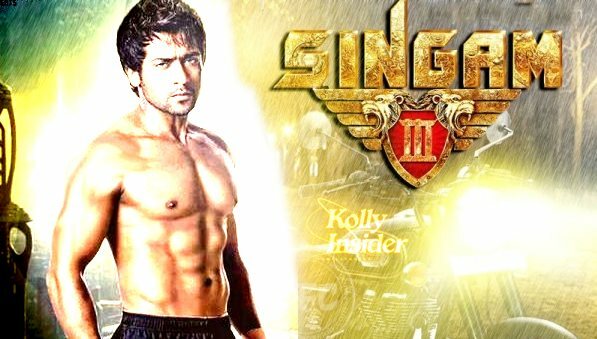 A reliable source in the director’s camp informs us that Suriya will this time play a CBI officer and he will be beefing up his body to don a six pack. In this movie, he will say a small adios to the unique Khaki uniform, and instead, he will don stylish costumes. There is also talk about Shruti Haasan playing the love interest of Suriya for the second time after ‘7 aam Arivu’. Official announcements regarding ‘Singam 3’ is expected in a couple of weeks time. Shruti Haasan and Anushka Shetty will do the roles of lady leads in ‘Singam 3′. Suriya has huge expectations regarding projects like ’24’ and ‘Singam 3′, and he badly aims to deliver a blockbuster at any cost. His recent release, ‘Masss’ failed to impress the audience even though it succeeded to create huge pre release hype. The film’s collection is pathetic, and it is slowly emerging as an all time failure in the career of the actor.